After announcing the addition of Disha Patani to the ensemble cast of Salman Khan starrer Bharat, the makers have announced about Tabu joining the cast. Director Ali Abbas Zafar has been a fan of the actress and has been keen on working with actor. Now, he has wish come true with the actress coming on board for this Salman Khan film after Jai Ho. Director Ali Abbas Zafar also took to social media to welcome Tabu saying, "Finally it’s happening, so excited to work with you :) lots of love @tublb :) @Bharat_TheFilm @BeingSalmanKhan @priyankachopra @DishPatani @WhoSunilGrover". 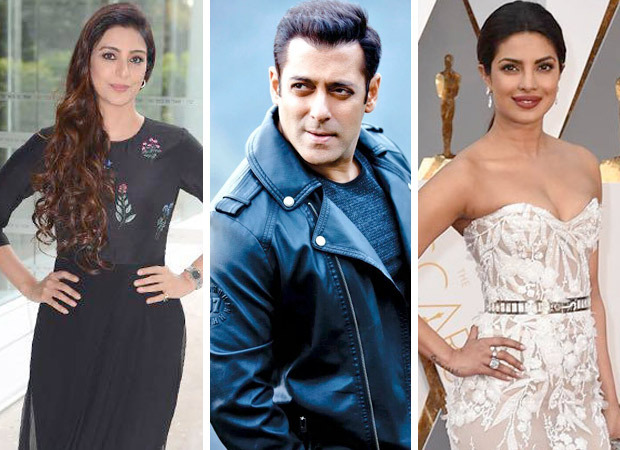 A source close to the development said, “With Salman Khan, Priyanka Chopra, Disha Patani, Tabu and Sunil Grover leading the cast, the Ali Abbas Zafar directorial boasts of an ensemble cast promising some power packed performances.” Salman Khan will yet again treat the audience on the festive season of Eid next year with the release of Bharat. The film will feature Salman Khan sporting five different looks spanning 60 years, wherein a crucial part will showcase the actor in his late 20s, looking much leaner and younger. Salman Khan will be recreating his Maine Pyaar Kiya look which has created immense excitement amongst the audience. The release of Bharat also brings back Salman Khan and director Ali Abbas Zafar for an Eid release after the 2016 blockbuster, Sultan. The hit director-actor duo will be marking a hattrick with Bharat after their last outing Tiger Zinda Hai. Directed by Ali Abbas Zafar, Bharat is produced by Atul Agnihotri's Reel Life Production Pvt. Ltd and Bhushan Kumar's T-Series releasing Eid 2019. Priyanka Chopra In To Star In Film Based On World War 2?